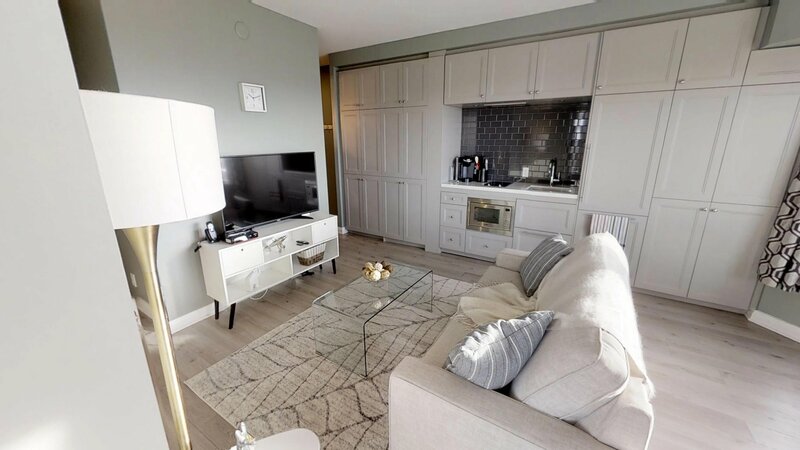 This 1 bedroom + den extended stay apartment is nestled in the heart of Toronto’s Yorkville neighbourhood provides plenty of room to relax and rejuvenate. Flooded with natural light and designed with open concept living in mind, the kitchen and living area is beautifully furnished bright decor giving a warm and inviting feeling to all guests. 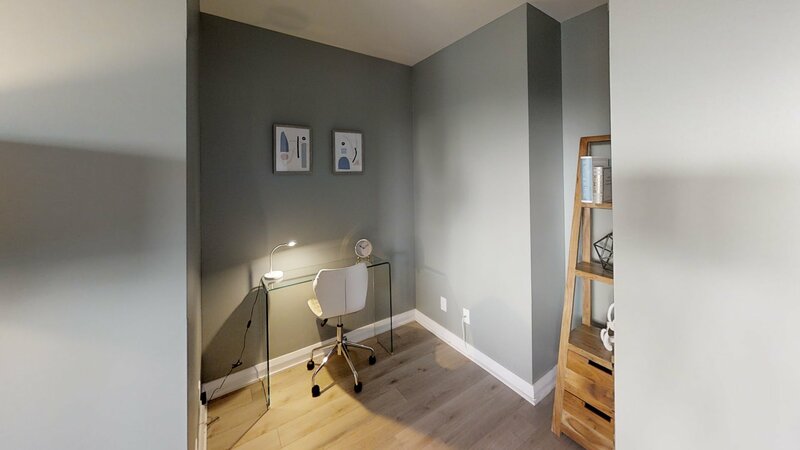 Open concept and with modern furnishings, the unit’s main living area is sure to impress. The kitchen has full-sized modern appliances. Appliances also includes a full sized clothes washer and dryer. The kitchen is fully stocked, included in the kitchen are all utensils, blender, and Keurig K-Cup coffee machine. 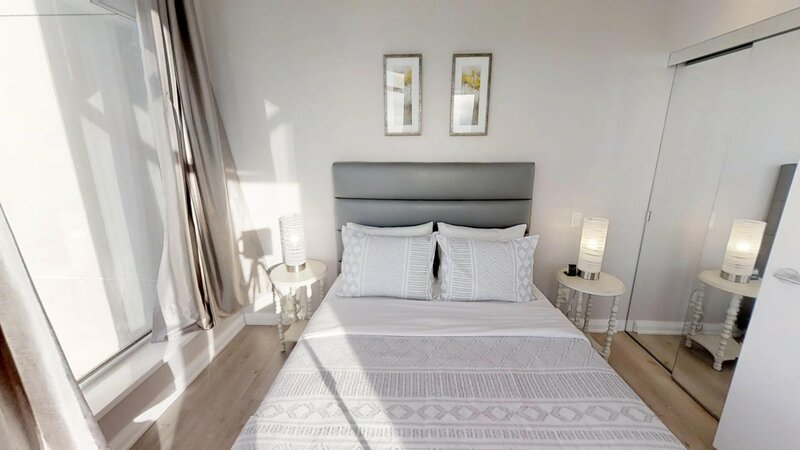 The bedroom is spacious with a comfortable queen-sized bed and modern furnishings. All linens and towels are provided. A open den acts as a space for workspace, separating work from the main living areas of the apartment. Included is bi-weekly cleaning service for stays more than 30 days, unlimited high speed wireless internet, cable TV, unlimited local calls and all utilities with no caps. 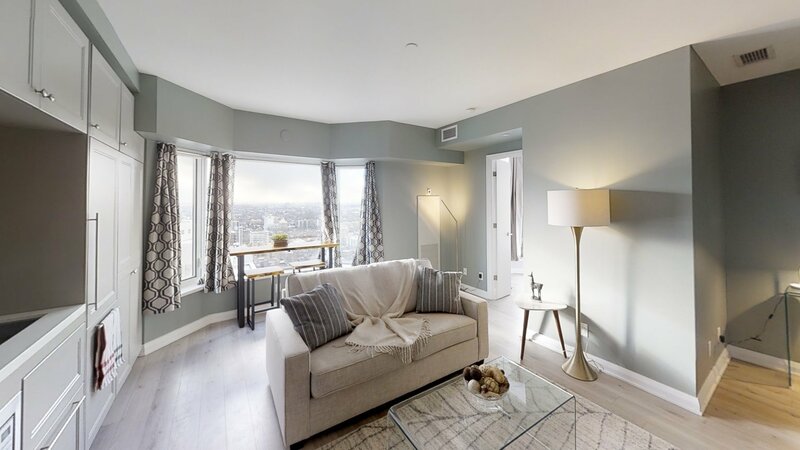 Located in Yorkville, an area of town known for its blend of historic charm and modern growth, the rental suite is arguably in the most accessible location in the city. 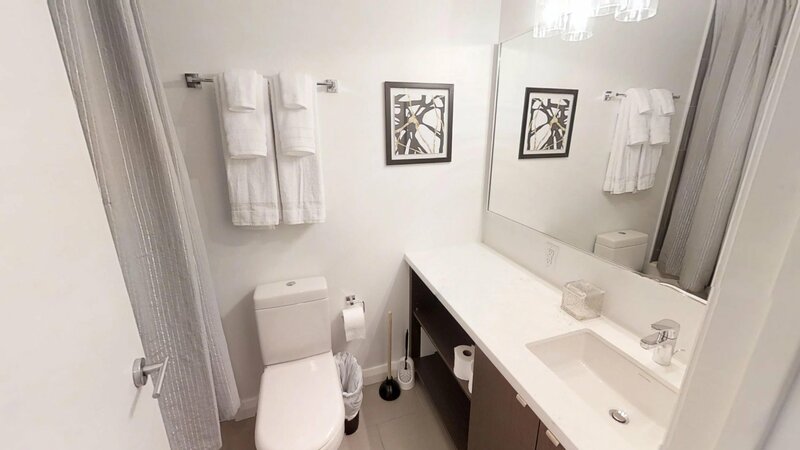 Home to a wide range of fast food restaurants, pubs and late night eats, the furnished suite is also accessible to downtown and midtown Toronto. For avid shoppers it won’t take long to realize the neighbourhood is Toronto’s Fifth Avenue filled with designer boutiques carrying the latest fashions, high end galleries and the Holt Renfrew Center. Dining options are also infinite. You’ll find everything you need at Whole Foods Market. For culture lovers, Gallery Catalyst, Liss Gallery and Royal Ontario Museum are great ways to spend an afternoon. The village of Yorkville Park, Taddle Creek Park and Jesse Ketchum Park are ideal spots to catch a breath of fresh air, take your dog for a walk or relax on a bench with your favourite book. Nearby schools include Jesse Ketchum Junior and Senior Public School and Cornerstone Academic College. Rising 31 stories above the intersection of Avenue Road and Yorkville Avenue, this iconic building is the epitome of elegance against a backdrop of the city’s premier luxury shopping district, with designer shops, gourmet restaurants and museums. This building’s distinguished architecture features a contemporary two-storey glass podium with vertical glass accents that will rise from the podium to highlight this building. Its unique patterned opaque and transparent enameled glass allows the building to transform its appearance from day to night. 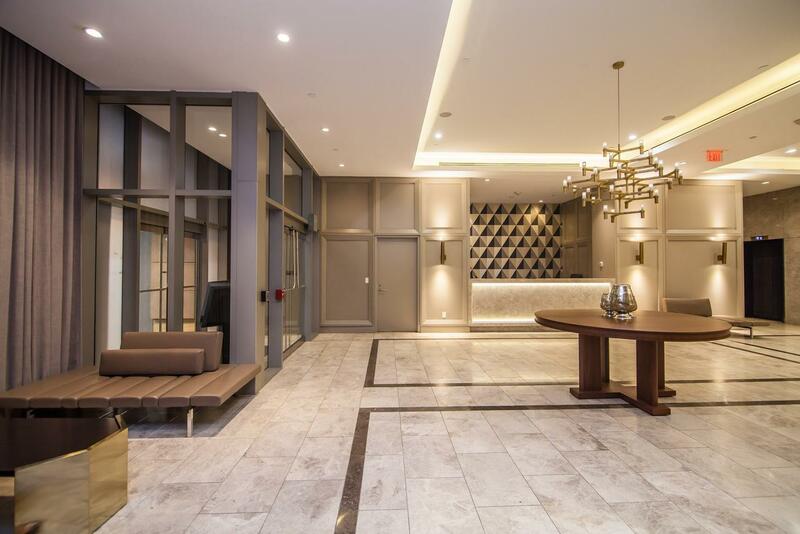 This exquisite Toronto condo for sale offers its residence plenty of fabulous amenities, among them a spa, a top of the line fitness facility, a huge terrace and a hot tub.